Driving a car can be nerve wracking for teens, when they first begin. Add inclement weather into the equation and you have a scary situation on your hands. Don’t worry! We’re here to help. 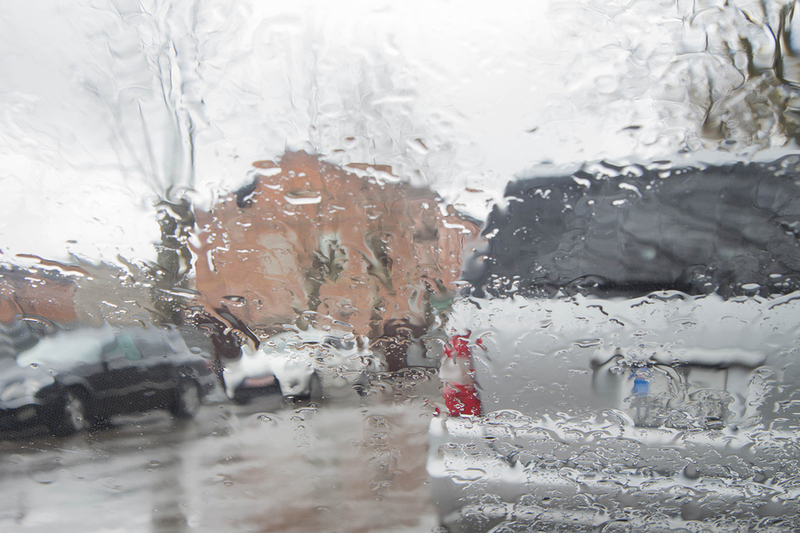 When it is raining, reduce your speed and turn on your windshield wipers. Remember to turn on your headlights as well to help you see, and to help other drivers see you. A general rule of thumb is to go two thirds the speed limit. Wet roads reduce the traction of tires by a 33%. Keeping your car well maintained will give you an advantage in the rain. Replacing the windshield wipers yearly, before they are too dull will keep the rain from preventing visibility. Using cruise control in the rain is a mistake. By accelerating occasionally you help the car maintain traction with the road. When the car is at a constant speed it does not have optimal traction which is very important when the roads are wet. In case of emergencies pull over to the side of the road and use your hazard lights. If you encounter deep water, turn around immediately. You will know the water is too deep to pass when you cannot see the road beneath it. Driving in dangerous weather can be taught about in theory but when encountered it needs to be faced practically. Remember these tips and use them if needed. Keeping teen drivers safe is our number one goal at Family 1st. Please look at our product page to learn about our GPS devices designed to help parents monitor their teens driving.